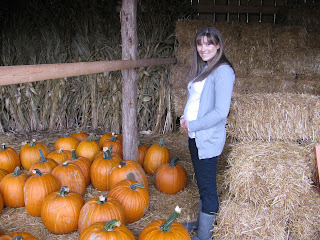 Pumpkin Patch and My Ever-growing Belly! 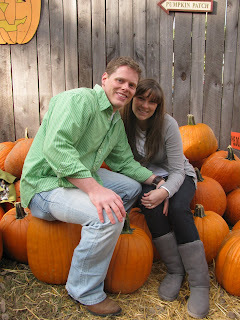 We went with a group from our church to Walden Farms, a pumpkin patch this past weekend. 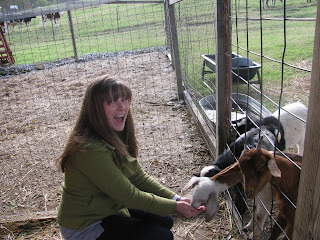 We had a great time - and got some really cute pictures! Can't wait to carve our pumpkins! 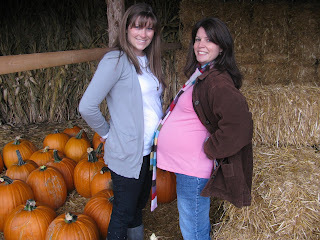 Me and my friend Audrey who is having twins! I guess you could call this a sympathy belly? 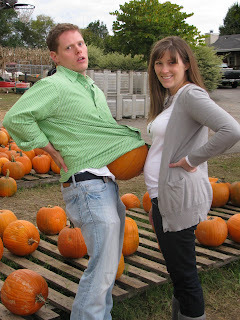 He looks so good pregnant - Maybe he should carry the baby! 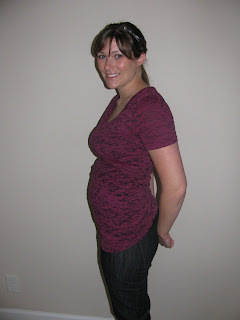 Here's a picture we took when I was 19 weeks - she's definitely growing and so am I!